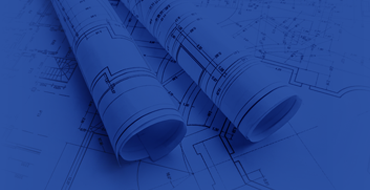 PJ Wright & Associates Pty Ltd provides clients with a full range of hydraulic design consultancy services tailored specifically to their needs. PJ Wright & Associates Pty Ltd pride ourselves on developing engineered design solutions for our clients that are practical, efficient and cost-effective. With over 90 years combined experience in designing plumbing and hydraulic services in Australia and internationally, our knowledge and expertise cover a diverse spectrum of industries and sectors. This enables PJ Wright & Associates Pty Ltd to undertake designs for a range of development types, from single residential to multiple and mixed-use developments; single commercial fit outs up to regional shopping centres; high-end developments, breweries, office buildings, aged care facilities, daycare centres, resorts, medical suites through to private hospitals and a complete range of institutional buildings such as police stations, schools and colleges. No project is the same, and we take into account all specific details that may be intrinsic to the project. These include Safety in design processes, system life cycles, site or regional limitations, maintenance and servicing requirements and access provisions and sustainability practices. Our Hydraulic Design team undertakes ongoing professional development ensuring they are up to date with all new advances in technology, materials, and procedures within the plumbing and hydraulic design industry. We maintain close working relationships with manufacturers and members of the hydraulic services industry to ensure that our designs are contemporary, taking into account the construction methods or staging of the project. Click here for a detailed list of previous projects undertaken by our team. Our expertise is not limited to design and development but also includes reviews, expert witness, and professional opinion reporting. Our consulting team has advanced CAD skills to cater for the specific requirements of the clients. From start to finish on every project, our team adhere to stringent procedures and processes for quality management and work standards. All solutions are based upon ‘Best Practice’ principles and adhere to the relevant acts, regulations, codes, and standards as well as particular local government requirements. Consultation with all stakeholders of each project is applied throughout our processes to ensure that the finished product is completed to the highest standard and addresses all aspects of the project brief. From providing simple advice to undertaking a full services review, we pride ourselves in offering an independent and ethical consultancy service on all aspects of hydraulic services.